Georgia is home to a diverse selection of inpatient drug rehab centers. Choosing the best facility for you or your loved one can be a vital step toward recovery. 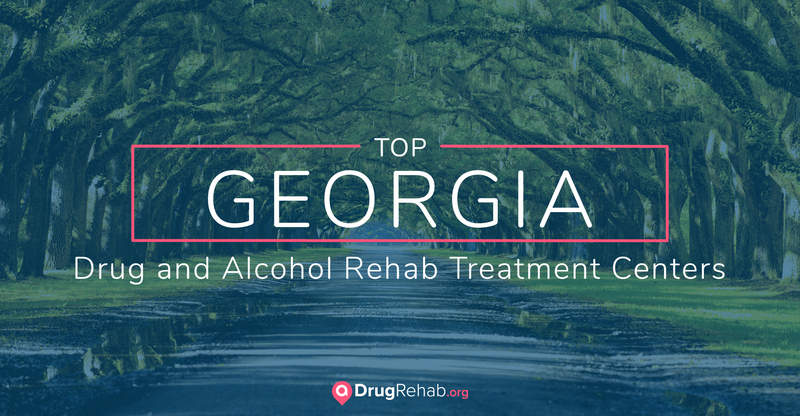 Georgia has a wide selection of drug and alcohol rehab centers to serve those suffering from addiction. Here is a list of the top inpatient drug rehab centers throughout the Volunteer State, chosen for their positive reviews and the diverse therapies offered. Purple is a recovery center for men, and is an intensive, four- to six-month residential program that focuses on group challenge, personal responsibility, and brotherhood. Purple promotes long-term recovery and centers around a 12-Step model. A focus on family therapy aims to share the transformative power of recovery, and aftercare is offered to alumni as a lifetime commitment. At Twin Lakes, clients are provided detox, inpatient treatment, and intensive outpatient options on a serene, 35-acre campus outside Atlanta. The residential treatment facility is a 17,000-square foot home, with recreation including nature walks and various sports. Therapeutic treatment includes behavioral therapy, 12-Step work, psychiatric services, and mindfulness groups. This mindfulness-based program provides an alternative to the 12 Steps by offering a unique blend of therapies. Centered Recovery Programs is completely secularized, without a focus on religious processes, but does incorporate therapeutic and philosophical influences. Full-day programs and intensive outpatient options are also offered here. ExecuCare Addiction Recovery Center takes a unique approach to addiction treatment, via Neurotransmitter (NTR) Brain Restoration treatment. NTR Brain Restoration “detoxes, restores, and optimizes the body” through a formula of vitamins and amino acids that repairs the damage to the brain from drugs and alcohol. Clients report elimination of cravings after receiving NTR Brain Restoration. At The Banyan Tree, clients from all walks of life are provided a variety of services to address alcohol and drug misuse. Clients receive counseling, hypnotherapy, art therapy, and play therapy. The Banyan Tree is an integrative wellness facility, located in a beautiful setting. Those suffering legal consequences as a result of drugs and alcohol can also complete required treatment here. LifeWorks Counseling, Inc. offers individual, couples, and family counseling for patients who struggle with substance abuse and are beginning in recovery. LifeWorks is a faith-based program that provides hypnotherapy for issues involving abuse and trauma. Founded by a married couple in 1995, LifeWorks aims to view people holistically—heart, mind, body, and soul—and share tools for personal growth and life enrichment. At MARR, the mission is to bring “lasting, total recovery through high quality, cost-effective, gender-specific addiction treatment.” Since 1975, MARR has been providing care for both men and women, including psychiatric evaluation, relapse prevention, co-occurring disorder treatment, boundaries, spirituality, and cognitive behavioral therapy. MARR’s community living approach includes recreation, group accountability, and weekly aftercare for alumni. Sometimes people are motivated to find treatment because of the painful cycle of withdrawal. Those suffering from addiction may have a physical dependence associated with the drug that drives them to use the substance against their will. If a dependent person stops their use suddenly, they may experience painful withdrawal symptoms. With certain drugs, especially opioids, the withdrawal symptoms can be so uncomfortable that the person relapses and stays stuck in the cycle. However, there are programs throughout Georgia that provide a safe place for the detoxification process, so individuals can begin the journey of recovery. During the detoxification process, the body clears itself of the toxic traces left behind by drug or alcohol use. During this toxin purge, the body may experience significant withdrawal symptoms, including diarrhea, nausea, sweating, and anxiety. Although uncomfortable, opioid withdrawal is not necessarily considered a hazard, whereas alcohol and benzodiazepine withdrawal can be deadly. It’s recommended that all detoxes occur under medical supervision. Blue Ridge Mountain Recovery Center is located in the foothills of the Blue Ridge Mountains, in Ball Ground. The medically assisted detox program ensures the guidance and support of a 24-hour nursing staff that attend to the physical and psychological effects of withdrawal. Effective detox is imperative to a successful start in recovery. After a successful detox, the next step is an inpatient or outpatient treatment program. Staying overnight at a treatment center is often referred to as inpatient drug and alcohol rehab. Inpatient treatment is recommended for those early in recovery, as it provides the highest level of support. In these facilities, clients are immersed in a recovery culture that promotes healing through responsibility and self-worth. Inpatient facilities usually offer a combination of individual, group, and family therapies, as well as recreation and experiential therapies. Inpatient treatment is one of the most secure types of care, as patients stay overnight for a predetermined amount of time. Inpatient treatment lengths can vary by program, but they generally last somewhere from 28 to 90 days (short-term care), or nine months to a year (long-term care). Experts report that treatment lasting at least three months is associated with better outcomes, and inpatient treatment can be a smart option for achieving this. Inpatient treatment focuses on community living in order to reintroduce social norms and dynamics to those who have been isolated in their addiction. Co-occurring disorders happen when someone suffering from substance abuse also has a mental health condition like depression or bipolar disorder. Co-occurring disorders can be challenging to treat, because the drug use and mental health condition are connected—someone dealing with the stress of bipolar disorder may begin using a substance to self-medicate their symptoms. Co-occurring disorders are more common than one may think, affecting nearly eight million people in the U.S. Because of this, there are treatment programs especially focused on treating dual diagnosis through integrated intervention that addresses clients holistically. Black Bear Lodge, located in Sautee Nacoochee, uses motivational interviewing and a variety of therapeutic interventions to treat co-occurring disorders. Black Bear Lodge offers psychoeducational process groups, detox services, grief and loss therapy, a nutritional wellness group, and family weekends. Addiction can be a difficult disease to treat, and ensuring patients feel comfortable is a key component of creating a positive recovery environment. Many treatment centers provide gender-specific treatment to promote safety, and LGBTQ+ focused treatment programs may also be available. RiverMend Health Centers offers several recovery programs, including intensive outpatient and partial hospitalization. With locations in Marietta and Augusta, RiverMend provides an intensive outpatient LGBTQ Addiction Treatment Program, along with detox, pain management options, yoga, and individual therapy. At a luxury addiction treatment facility, clients are provided an elite level of care in sumptuous surroundings. These centers are often located on scenic estates, providing an ideal setting for reconnecting with the self. Although this type of treatment center will typically be more costly, insurance is usually accepted to offset the cost. At luxury facilities, clients enjoy the same foundational offerings found at other treatment centers, but are provided exclusive amenities that restore comfort and relaxation, including spa therapies, acupuncture, fine dining, and private fitness training. The private nature of luxury treatment facilities is unparalleled, creating a refreshing and reflective environment in which to build a new life in recovery. Bluff Plantation in Augusta is a comprehensive drug treatment program with 178 acres of rolling hills. Bluff Plantation is home to a neuroscience-driven form of care, including residential, outpatient programming, and a focus on family. This center specializes in providing dual diagnosis care, and offers equine therapy, nature therapy, yoga, and a gourmet menu. To some, it may seem counterproductive to treat addiction with medication, yet science shows us that medication-assisted treatment (MAT) can save lives, and buprenorphine-based MAT provides a new option for treating the deadly opioid crisis. For those who have suffered from continual relapse, MAT can provide a necessary alleviation of the physical cravings, while the mental portion of addiction gets addressed in treatment. The withdrawal symptoms for those who are addicted to opioids are especially uncomfortable, and often times the relapse is just a way to keep the withdrawal at bay. MAT can provide a chance for someone to stop the recovery/relapse cycle and get a solid shot at recovery. Assisted Recovery Center in Columbus specializes in treating individuals suffering from opioid addiction and offers medication-assisted treatment that includes methadone and buprenorphine (Suboxone) to address cravings. Counseling is offered, as well as medically supervised withdrawal and detox programs. The choices made in active addiction can lead to a host of legal consequences. When a court mandates a drug rehabilitation program, it may be as part of a sentence, or as an incarceration alternative. Although legal issues can feel overwhelming, there are treatment services that fulfill the requirement for a court-ordered rehab program. Court-ordered rehab programs might be the only way someone is exposed to recovery concepts, and many treatment facilities offer specialized programs for those experiencing legal problems. Project ADAM, located in Winder, offers residential, outpatient, and legal programs. By combining the 12 Steps with a faith-based approach to counseling, Project ADAM helps to develop emotional and life skills in order to prevent both relapse and re-offense. Residential treatment is not for everyone, especially those who may have family or professional commitments. Intensive outpatient programs (IOPs) can be a better fit for those with a demanding personal schedule, as the layout is more flexible. IOPs are typically offered in morning or evening sessions, and may be offered up to five days per week (sometimes called intensive IOPs). By hosting classes at different times, clients are able to practice their newfound life skills at home and process this in group the next day. This focus on group sharing is intentional, as it allows the person who’s been checked out to reconnect and build accountability. During IOPs, there may be recovery homework and required drug screenings. If someone is struggling with regular relapse, or is in need of medication-assisted detox, inpatient care is a more secure option to consider before “stepping down” to an IOP. The quality treatment facilities throughout Georgia can be made affordable through the use of private insurance. Public insurance such as Tricare or Medicaid may also cover treatment costs. There are also state- and government-funded insurance vouchers available to most residents. Thousands of Georgia residents are struggling with addiction, and Georgia’s variety of treatment centers are valiant attempts to treat the growing rates of substance abuse throughout the state. 9 percent of adult residents report current use of alcohol. 3 percent of youth reported current use of marijuana. 5 percent of youth were offered, sold, or given an illegal drug on school property. In 2016, 1,394 Georgia residents died of an overdose. Georgia has been hit hard by the opioid crisis in the U.S. Over 93 percent of the overdoses in Georgia were related to opioids, rendering these drugs the deadliest in the state. Knowing the facts about drugs of abuse, addiction, and treatment options can save a life. Contact us today for more information about addiction treatment in Georgia.